Exploitation albums were the underground of the underground. Pressed in miniscule quantities on vanity labels, these offerings were so obscure that the majority of them were probably not even sold in stores, which raises a question mark, considering the forces behind the concoctions were clearly aiming to make quick couple of dollars. Aha, the smell of tax write-off fills the air! More than likely, the recordings were given to family and friends of the uncredited musicians responsible for the platters. Or they simply remained stored away in boxes, covered in dust bunnies, until years later when collectors came sniffing around, looking for long forgotten relics of the psychedelic age. Combined onto a single disc, “Blues Rock Festival” and “Beat Club International” were both issued in 1970. According to the insert notes, penned by Hans von Seydiltz, the same crew of musicians played on these albums, who previously held membership in a pair of German bands, the Tonics and the German Bonds. 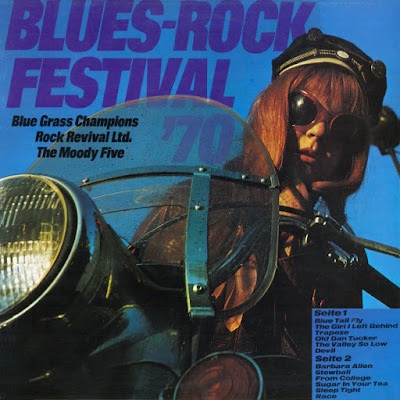 A trio of pseudo-groups appear on “Blues Rock Festival,” going by the handles the Moody Five, Rock Revival Ltd. and Blue Grass Champions, while “Blues Rock Festival” only lists song titles, not band names. The “Blues Rock Festival” album especially contains a number of memorable tracks. Among these treasures are the instrumental rush of “Race” that swerves, soars and sizzles with driving rhythms and ferocious hooks, the dark and menacing bite of “Devil,” the charmingly cheesy “Sugar In Your Tea,” which reels back to the days of British flavored paisley pop, and “Blue Tail Fly” that mixes melodic jangle with rocking heebie jeebies to fine effects. Accented by a high energy call and response chorus of “bottle up and go,” the party hearty Mitch Ryder and the Detroit Wheels styled “Trapeze” serves as another top tune on the record. 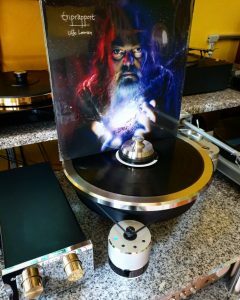 A touch of country in the form of a tacky Elvis impersonation is applied to “Old Dan Tucker,” but for the most part, “Blues Rock Festival” concentrates on the hard and heavy fashions of the period, steeped in the spirit of acts such as Steppenwolf, Deep Purple and Mountain. 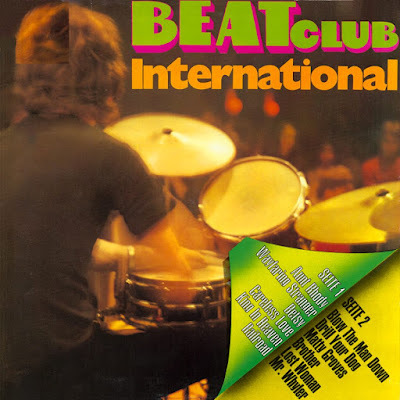 The “Beat Club International” album is shaped of similar ingredients, spiked with the occasional oddity. The ghost of Elvis materializes once again on the dramatic “King In Heaven,” and for a shot of slow burning blues, “Lost Women” completes the task. 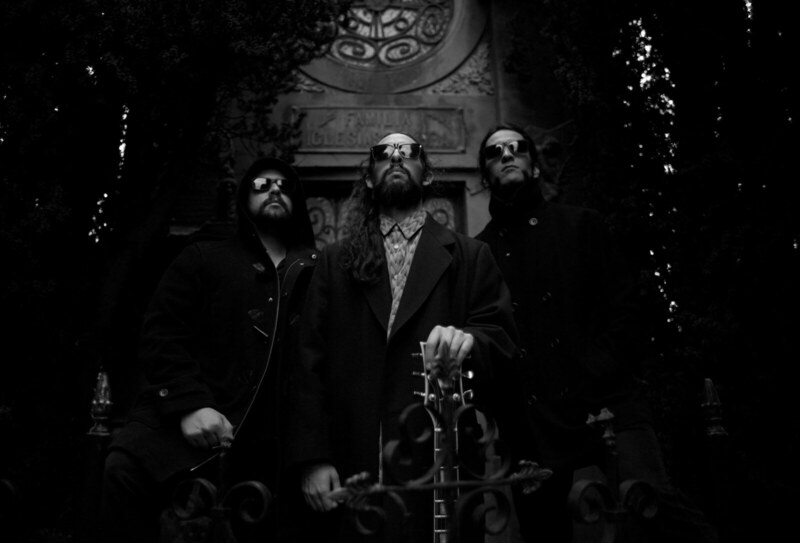 Fusing the loose, grizzled and adventurous sounds of the time with flashes of goofiness, “Blues Rock Festival” and “Beat Club International” promise a rollicking ride for all those listening. Crank the volume and have fun!